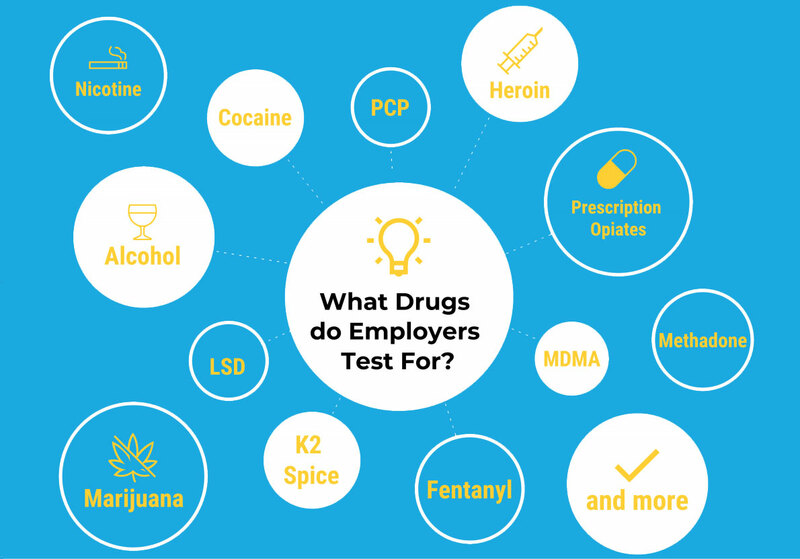 What Drugs Do Employers Test For? Two of the most common drug screens that employers are requesting are the 5-panel and the 10-panel drug tests. Obviously if an applicant isn't using cocaine, heroin, meth, PCP, or pot, the assumption is that they should pass the 5-panel with no problem. However, some marijuana use may not be detected, if THC has been removed (as is common with medical marijuana). Also, prescription pain medication and other prescriptions such as adderall, penicillin, novocaine, hydrocodone or oxycodone could be detected. The 10-panel includes more recreational drugs but also more prescription medications such as Xanax, Valium, Rohypnol, Ativan and some weight-loss drugs. There are many ways to screen for drugs of abuse. Keep in mind detection times and drug concentration cutoff levels will vary depending on the specimen being tested (urine, saliva, or hair). 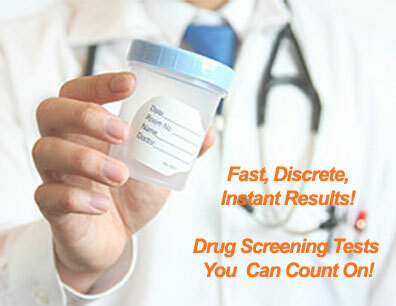 Urine test cups and dip cards are traditional drug screening options. This testing method is affordable and easy to conduct. Employers who opt for urine testing typically select the most popular 5-panel, 10-panel, and 12-panel groupings; however, it is possible to test anywhere from 1-16 drugs of abuse with a single urine test. Urine test offers a broad range of industry applications. Mouth swab drug tests are non-invasive, instantaneous, and comprehensive. These tests are more accurate than ever before, and some varieties even include color indicators to show you when enough saliva is collected. Saliva drug tests are a staple among staffing and recruiting professionals looking to source new talent. Hair drug tests combine the accuracy of laboratory testing with the privacy of home screening. A hair follicle exam provides the longest history of substance abuse; this testing method can detect drugs 90 days after they are used. Hair drug testing is preferred by educators and counselors, as well as probation and parole officers. If you're interested in adding random drug testing, we are happy to assist you! Tell us about your specific goals and needs and we'll find a custom solution for you! Give us a call at 419-852-2464 or email sales@testkitsathome.com!